I didn’t post last week because my quiet time has been…well, quiet. My writing, on the other hand, has been exciting. This past week I wrote almost 7,000 words. The week before that it was over 11,000. If I can manage to continue at this rate, and I plan to try, I should be able to finish all four books that I’m working on in the next six months. I think that would be awesome. Want to know what I’m working on? 1) a sequel to One Choice, tentatively called Second Choice. For those of you who have read One Choice, it’s Anaya’s story. For now, that’s all I’m going to divulge. I haven’t come up with a blurb (what you would see on the back of the book) yet. I’m about a quarter of the way through her story. 2) Twin Trouble – a contemporary romance, involving…you guessed it…twins–sort of. 🙂 I hope to have this one ready for a conference I attend in May. I’m about halfway done writing, and then I have to edit. 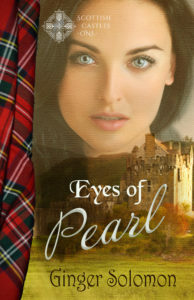 3) A romantic novella to be included in a boxed set along with several other authors. I’ve tentatively titled it Mr. Christmas and Miss Scrooge. Again, that’s about all you get. LOL More about this one later, I promise. My hubby and I have planned a weekend away for my birthday. We’re going to Atlanta. I’m not sure what all we’ll do, but it will be a blessing for sure. 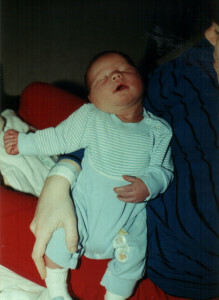 My third son turns eighteen in March and will graduate high school in May . It seems like just yesterday he was my little bundle of joy. He’s no longer little, having grown taller than me years ago. He’s now equal to his father’s 6’4″. Ah…I won’t wax eloquent about him. Let’s just say that I’m proud of him and move on. My second daughter will get her learner’s permit in March. How is it possible that five of my seven children will be driving in a few short months? My two oldest continue plugging away in college. Both are doing well. About me personally, my back still hurts daily, but I am able to stay in the bed all night instead of having to get up for an hour or so in the middle. I’ve found a way to lose some weight, I hope–low carbs. I forgot to weigh-in this morning to see how my week has gone, but I’m hopeful. Now I just need to start an exercise routine that I can keep up with. What’s going on in your lives? Glad you’re feeling better, Ginger, and have so many projects to work on. I signed up for a scholarship to Blue Ridge. Maybe this will be my year. I’m still plugging away at my two southern novels and working to improve the blog. Enjoy Atlanta! How sweet to get a peak into your world. I’m looking forward to reading the sequel!!! It really is just a peek. LOL It would take a whole novel to tell everything.